The original vintage sound of Johnny Winter, Texas Blues with a mix of Vaughan family style and Josh Knight. 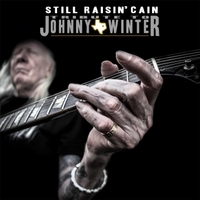 Josh Knight and nephew of Stevie Ray Vaughan, Tyrone Vaughan team up together for the release of Still Raisin Cain. Josh and Tyrone talk about the importance of Johnny Winter and his dedication to the Blues community.